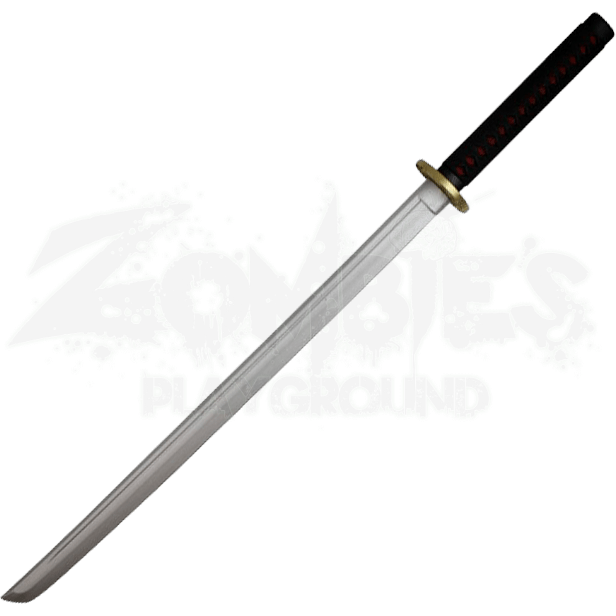 Harkening back to the age of samurai, the Black Foam Samurai Katana is inspired by traditional Japanese blades. Made out of safe, dense foam, this prop weapon features a black color creating a wrapped look along its black hilt. 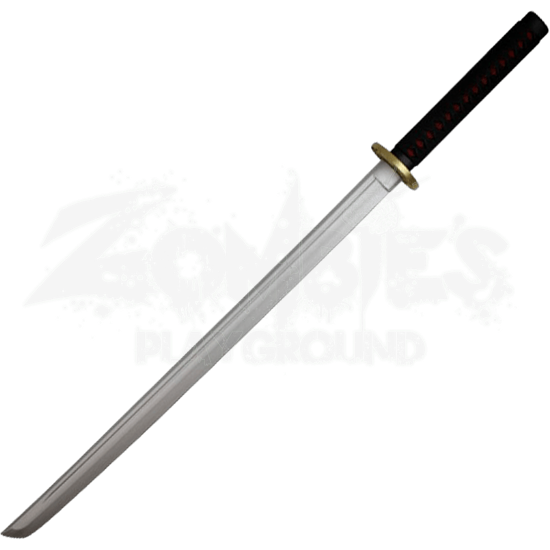 The rectangular guard has a wooden coloration, adding to the detailed look of this costume katana. A safe yet authentically styled prop for costumes, cosplays, and other themed events, wield the Red Foam Samurai Katana whenever the occasion calls for a display of ancient, time-honored weaponry without the dangers of a real blade.